Link: Theatre World Awards Home. At an annual ceremony and during an afternoon party attended by former winners and invited members of the theatre community, six actresses and six actors are presented with a Theatre World Award for their Debut Performance in a Broadway or Off-Broadway production. The Theatre World Award remains the oldest one given for a debut theatre performance on On or Off-Broadway. The contribution the Award has made to the theatre is incaluable. It is not a competition and is only given once. Because it is given for a debut performance, it encourages and inspires newcomers to the stage to continue to pursue their dream. It is freely given at a time when encouragement is so necessary in an industry known more for rejection than reception. The Theatre World Award winners are chosen by the Theatre World Awards committee, which is comprised of Peter Filichia (Theatermania.com), Harry Haun (Playbill), Matthew Murray (TalkinBroadway.com), Frank Scheck (New York Post), Michael Sommers (Newhouse Papers), Doug Watt (Critic Emeritus, New York Daily News), Linda Winer (New York Newsday), and coordinated by Peter Filichia, Theatre World Editor John Willis, and Theatre World Associate Editor Ben Hodges. John Logie Baird became the first person to transmit moving silhouette images using a mechanical system based on Nipkow's disk. In his laboratory on 2 October 1925, Baird successfully transmitted the very first television picture with a greyscale image: the head of a ventriloquist's dummy nicknamed "Stooky Bill" in a 30-line vertically scanned image, at five pictures per second. Baird went downstairs and fetched an office worker, 20-year-old William Edward Taynton, to see what a human face would look like, and Taynton became the first person ever to be televised in a full tonal range. On January 26, 1926 Baird repeated the transmission for members of the Royal Institution and a reporter from The Times in his laboratory at 22 Frith Street in the Soho district of London. By this time he had improved the scan rate to 12.5 pictures per second. 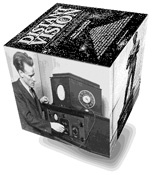 It was the world's first demonstration of a true television system, one that could broadcast live moving images with tone graduation. THEREFORE, JOHN BAIRD IS THE INVENTOR OF TELEVISION EVEN IF HIS MECHANICAL SYSTEM DIDN’T CATCH ON. THE FACT IS, HE’S CREDITED WITH WITH FIRST TELEVISED PICTURE LONG BEFORE OTHERS. 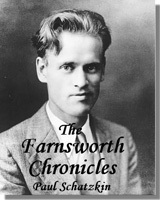 EVEN IF VLADIMIR ZWORYKIN OR PHILO FARNSWORTH SYSTEMS ARE TODAY’S STANDARDS AND ARE TECHNOLOGICALLY BETTER THAN JOHN BAIRD’S SYSTEM. THIS HOWEVER, THIS DOESN’T DISCREDIT JOHN BAIRD AS THE INVENTOR OF TELEVISION AS HE’S RECOGNIZED WORLDWIDE AND NOT SWORKYN OR FARNSWORTH. 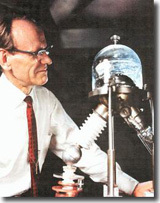 ONLY IN THE UNITED STATES FARNSWORTH IS RECOGNIZED AS THE INVENTOR BUT NOT AROUND THE WORLD. 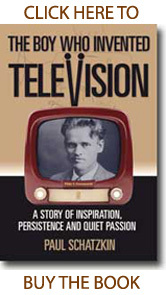 JOHN BAIRD IS NOT A PRECURSOR BUT THE REAL INVENTOR OF TELEVISION. This compares to Edison’s invention of the phonograph. Even though today’s stereos do a much better job than the old phonographs, this doesn’t discredit Edison as the iventior of recorded sound. 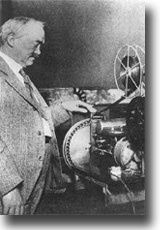 Nobody calls Edison the precursor of recorded sound.